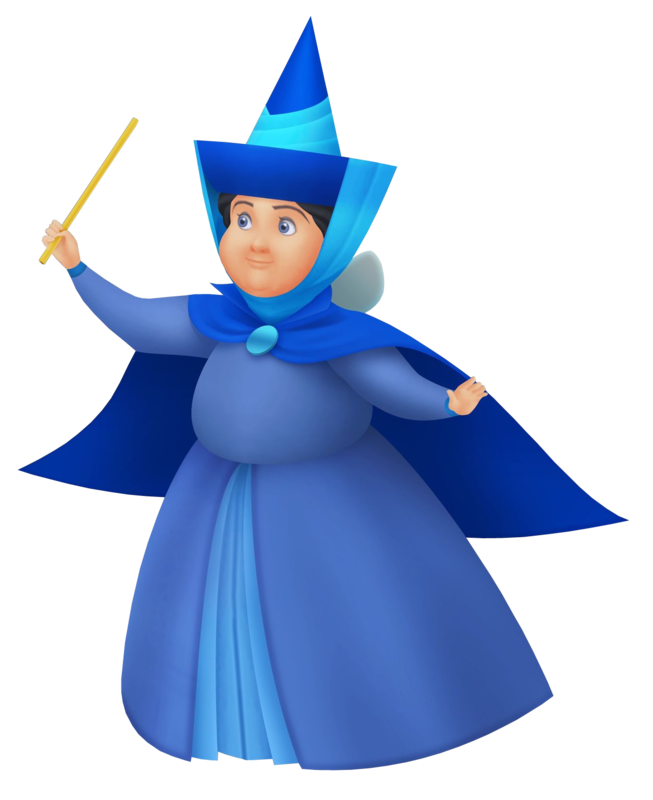 The fairy in blue, Merryweather is definitely the liveliest of the bunch and she can be stubborn at times (especially regarding the color blue). Nevertheless, she works with her friends to stop the evil witch, Maleficent. Stubborn and impulsive, Merryweather has a hard time keeping her temper under control. She has a long-standing feud with Flora regarding their tastes in color to the extent that they would have no qualms about changing the color of a person's clothes just to justify their own preferences. When Aurora is cursed by Maleficent, Merryweather was the one who gave her a 'ray of hope' as a birthday present, softening the curse so that Aurora would fall into an enchanted sleep instead. Her protection of Aurora does not end there however. She helps Ven reach Aurora's stolen heart, and uses sleep magic against Maleficent during Ven's battle with the dark sorceress. She is also instrumental in assisting Aqua and Phillip escape the Forbidden Mountains. 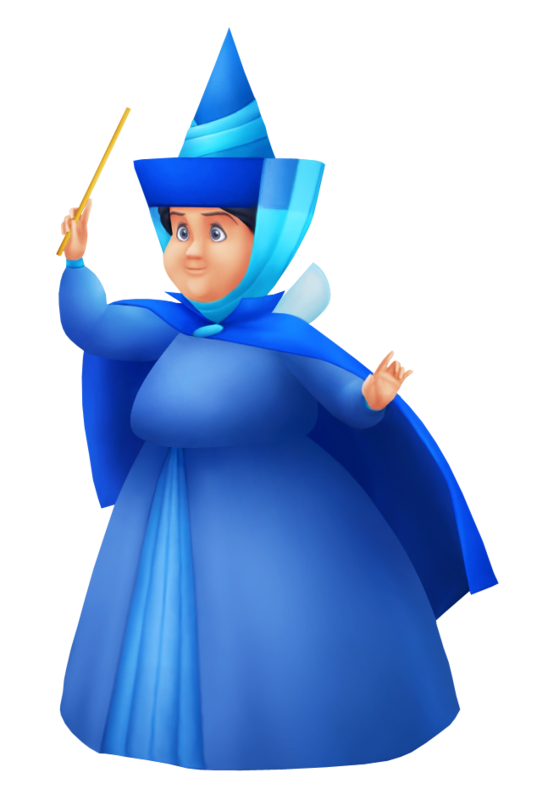 Bubbly, stubborn, headstrong and definitely not afraid to show it, Merryweather is the youngest of the Three Good Fairies. She has been there to help Keyblade wielders defending the light many times in the past, and this time must put her patience to the test as the fairies and Merlin must teach Lea the fundamentals of Keyblade wielding as quickly as possible for Sora and Riku's sake.